Harriot Kezia Hunt (1805-1875) was the first American woman to practice medicine professionally. Though she did not have a medical degree, she achieved considerable success by applying the simple principles of good nutrition and exercise. In the 1850s she became involved in the burgeoning women’s rights movement and fought to open the medical profession to women. 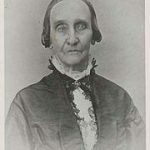 Harriot Kezia Hunt was born in Boston, Massachusetts on November 9, 1805, the daughter of Jacob and Kezia Wentworth Hunt. The Hunts were deeply involved in Boston’s liberal religious community and reform culture, and they educated their two daughters at home. Her father died in 1827, when Harriot was twenty-two, and she and her sister Sarah opened a school in their parents’ home in order to support themselves. In the early 1830s Harriot’s sister Sarah became gravely ill. Mainstream Boston physicians were unable to diagnose or cure her ailment, and their harsh traditional treatments – strong chemicals, laxatives and bloodletting – only made Sarah weaker. Desperate to save her sister’s life, Harriot Hunt began reading medical books and looking for other ways to cure Sarah’s illness. In the 1830s Boston was a hotbed of medical innovation, but medicine was only just beginning to be based on science. For centuries women had administered home remedies to their sick relatives, but doctors who had graduated from medical training programs began to replace these female healers. It would take decades for women to gain access to medical schools. In 1834, Elizabeth Mott published The Ladies’ Medical Oracle, or Mrs. Mott’s Advice to Young Females, Wives and Mothers. The book explained “her system of European vegetable medicine for the cure of diseases,” and advertised dozens of preparations, ointments, syrups and powders designed to cure everything from asthma to teething to tumors. Mrs. Mott marketed both her book and her medicines from her consulting room in Historic New England’s Otis House. Hunt’s experience in caring for her sister led her to seek a medical career. At the time, however, there were no colleges or medical schools for women. In 1833 Hunt and her sister both entered the home of Richard and Elizabeth Mott to study medicine privately. Harriot, Sarah and their mother all moved into the third floor of the Otis House. A few months later, Richard Mott patented his Champoo Vapour Bath and installed one on the second floor of the house. Medicated baths were popular treatments in Europe and Asia at the time. Dr. Mott’s version placed the patient in an India rubber tent on a platform through which steam, infused with herbs, emerged to “cover the surface of the body, when the pores are in a proper state to receive them…” This treatment would be followed by a Champoo (massage) of the appropriate parts of the body. The Hunt family moved out of the Otis House after Elizabeth’s departure, but they continued to see patients there. Richard Mott became ill in September of 1835. The Hunts cared for Mott in his final days and purchased his patent from him. Hunt and her sister opened their own medical practice, which consisted largely of general hygiene and Champoo Baths. Mott was also a pioneer, and Harriot Hunt adopted Mott’s core beliefs: 1) medicines should be natural, 2) doctors must consult with and listen to their patients, and 3) women were likely to discuss symptoms more freely with female doctors. However, Hunt soon began to question the scientific basis of some of Mott’s medical practices, and after a year, Mott departed for New York. At a time when most physicians offered harsh therapies that could be debilitating, if not fatal, Harriot Hunt treated many of her patients’ illnesses by simply prescribing a healthy diet, ample exercise, regular bathing, good hygiene and rest, while also teaching them physiology so that they would not harm themselves through ignorance. 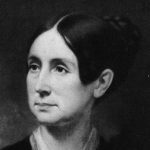 In 1843 she formed the Ladies’ Physiological Society in Boston to provide a forum in which she could promote her views on healthy living. At the meetings, often held in her home, she talked to large groups of women. She began to lecture frequently on physiology and hygiene, experienced a remarkable degree of success and obtained a devoted following. In 1847 Hunt applied for permission to attend lectures at the Harvard Medical School in an unofficial capacity, but the trustees denied her request. Three years later, after Elizabeth Blackwell had achieved fame by becoming the first woman to receive a medical degree, Hunt applied once again to the Harvard Medical School. This time the trustees were more open to the idea, and voted five to two to allow her to attend lectures. However, two African American men had been recently admitted to the medical school, and Hunt was caught up in the general sense of outrage from the white male students: two blacks and now a woman! She was asked to withdraw her application; she complied. When civilization is further advanced, and the great doctrine of human rights is acknowledged, this act will be recalled and wondering eyes will stare, and wondering ears will be opened, at the semi-barbarism of the middle of the nineteenth century. Harriot Hunt helped establish several women’s groups dedicated to providing financial and moral support to women medical students, and strove throughout her life to change the rigid face of orthodox medicine, including its prejudices against women and its dangerous therapeutic methods. 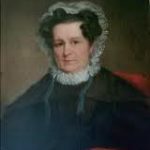 By her example as well as by her efforts on behalf of her gender, she helped prepare the way for the first generation of women medical school graduates of the 1850s and 1860s. Though she added nothing new to medicine, her pioneering efforts to open the medical profession to women in America did not go unnoticed. She was granted an honorary degree from the Female Medical College of Philadelphia in 1853. Her medical career is documented in her autobiography, Glances and Glimpses; Or, Fifty Years’ Social, Including Twenty Years’ Professional Life (1856). 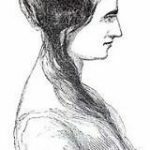 Harriot Kezia Hunt also followed her parents in the path of reform in other areas besides medicine, particularly the abolition of slavery and women’s rights. 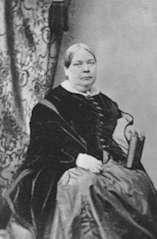 In 1850 she attended a women’s rights convention in Massachusetts and quickly adopted that movement’s views advocating the removal of the legal and political disabilities of women. In May 1850, at the conclusion of the annual Anti-Slavery Society meeting in Boston, an announcement was made for those interested to stay behind and help plan for a national women’s rights convention. Two men and nine women took part in the discussion, including, Paulina Wright Davis, Abby Kelley, Lucy Stone and Harriot Hunt. Worcester, Massachusetts was determined as the convention site, if enough signatures could be gathered to warrant further action. A second national convention was held October 15–16, 1851, which drew a larger audience than the first. Hunt, Elizabeth Oakes Smith and Antoinette Brown Blackwell gave speeches, while a letter from Elizabeth Cady Stanton was read. Lucretia Mott served as an officer of the meeting. Committees appointed the previous year reported on women’s access to paid labor, education, political rights and social equality. Julia Ward Howe as president was held at Hunt’s home. She subsequently helped found a school of design in Boston to widen women’s opportunities for employment and petitioned the Massachusetts legislature for equal educational rights for women. For two decades, beginning in 1852, she accompanied her annual tax payment to the Boston authorities with a protest against taxing the property of one not permitted to vote. Harriot Kezia Hunt continued both her medical practice and her reform activities until her death on January 2, 1875. Before her death, Hunt commissioned a life-size statue of Hygieia, the Greek goddess of health, from African American sculptor Edmonia Lewis. The sculpture now marks Hunt’s grave at Mt. Auburn Cemetery in Cambridge, Massachusetts. Talk of politeness when humanity is perishing – of the sacred sphere of woman when thousands of my sisters are prostitutes – how many from necessity, God only knows. I have not the least patience with the exquisite dandy and the fashionable flirt attempting to define proprieties…. Neither have I patience with a set of croakers who regret the present state of things; but how can it be helped? say they with a yawn. Look at your widowed sister struggling to preserve a home – the hectic [look] on that cheek produced by overtasking her physical strength tells you death will soon set his seal upon her. Look at that married woman – sleepless nights and toilsome days cloud her brow and irritate her temper….